The book here exposed is the exhibition catalogue of MM I RICORDANDO una mostra di disegni di Mario Manganaro, but it is also much more, collecting, next to drawings, texts written by friends, family, students and colleagues of Mario Manganaro to ensure memories, shared practice, thoughts addressed to him. 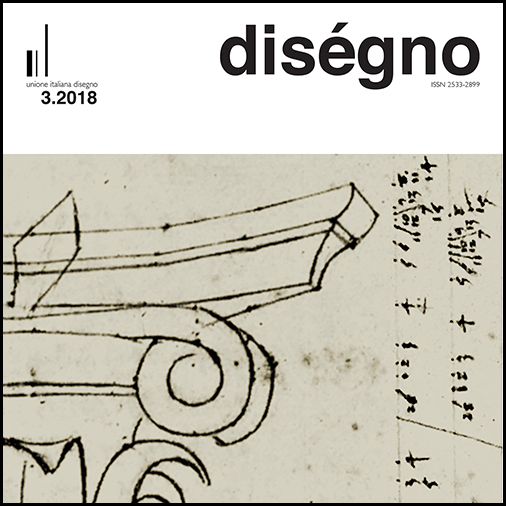 Edited by Francesco Manganaro, Alessio Altadonna and Adriana Arena, the book, entitled Mario Manganaro “… un disegnatore generoso”, published by EDAS, collects ninety-five Drawings by M.M. on the left pages and sixty-one Drawings by M.M. exhibited (drawings are cataloged by title, year, place, size, technique, support), side by side to fifty-five textual contributions signed by the same numbers of authors (read more). Cacciari, M. (2007). Tre icone. Milano: Adelphi. Manganaro, M. (2008). Mario Manganaro: <http://www.dibaio.com/oggetti/cura-della-casa/redazionale/mario-manganaro_1.aspx> (accessed 2018, June 15). Manganaro, F. (2018). «Ricordando Mario Manganaro. Un disegnatore generoso». In Galileo,n. 235, p. 31. Marchese, C. (2018). Quei percorsi partiti da Mario Manganaro: il 5 maggio, seminario mostra e catalogo al PalaAntonello di Messina: <https://ilmarenero.blogspot.com/2018/05/quei-percorsi-partiti-da-mario.html> (accessed 2018, June 15).